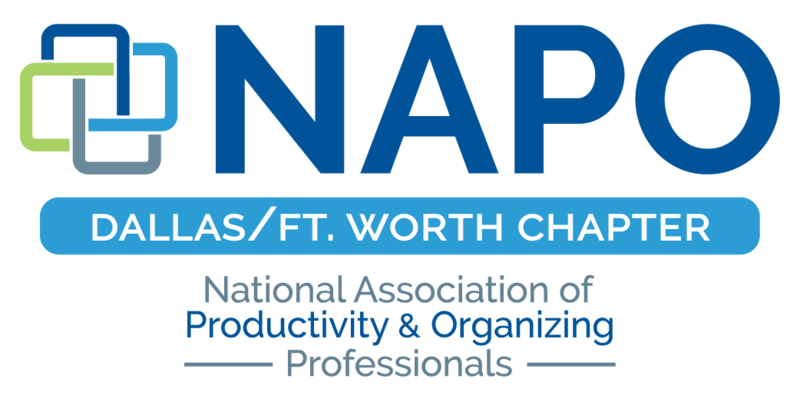 NAPO DFW - What is NAPO? Want to become a NAPO-DFW Member? 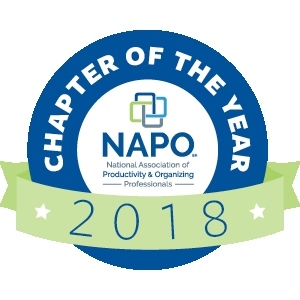 The National Association of Productivity and Organizing Professionals™ (NAPO®) has approximately 3,500 members dedicated to helping people and organizations bring order and efficiency to their lives. NAPO’s mission is to be the leading source for organizing and productivity professionals by providing exceptional education, enhancing business connections, advancing industry research, and increasing public awareness. Both Professional Organizers and Productivity Consultants will evaluate a client’s situation, help with decision-making, and take action on approved recommendations. The distinction as defined by NAPO surrounds the areas of focus and the outcomes. NAPO-DFW, Inc. was formed in 2003 and has grown to serve North Texas and beyond! Our mission is to bring homeowners and businesses together with respected organizing and productivity professionals who are committed to the standards and ethics of NAPO-DFW. Our members value education, professional development, and staying current on trends and advancements in the industry. These professionals dedicate themselves to providing organizing and productivity services, advice, and solutions to their clients. Their support covers every imaginable aspect of organization. What is a NAPO-DFW Business Partner? Business Partners are companies that manufacture, sell, and/or distribute organizing and productivity products and related services. A Business Partner is not a person or company that engages in the productivity and organizing profession, rather an industry that supports these professionals to serve their clients. Business Partners can gain visibility in the organizing and productivity industry by partnering with NAPO-DFW. By becoming a Business Partner, you have the opportunity to utilize an extended sales force and build lasting business relationships.